Dutch up! workshop 22 November: The Holiness of Dutch Holidays – Welcome to the Direct Dutch institute, The Hague. The Dutch love their holidays. What are their origins? Why is there no national feast day to celebrate Dutch independence like the American 4th of July? What do we celebrate on Koningsdag (King’s Day)? The monarchy or free trade? 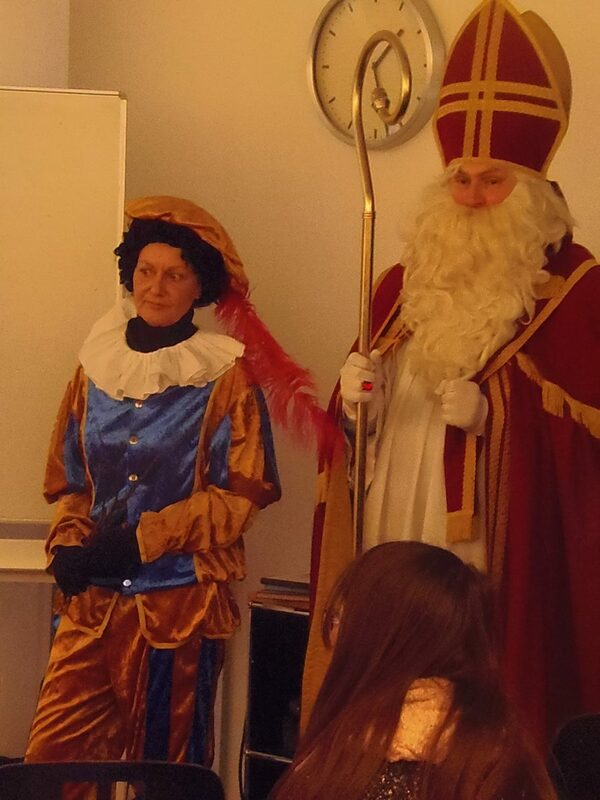 St Nicolaas is a holy day but not a holiday, but what the hell is wrong with the saint’s assistant? Are Sinterklaas and Santa Claus related? Does Sinterklaas really live in Spain? How do grown-ups celebrate Sinterklaas after the kids have gone to bed? How can you survive the gloomy month of December? These questions and many more will be asked and discussed in Dutch, glorious Dutch in the next Dutch up! workshop led by Ruud Hisgen. Join us on Sunday 22 November in the Central Library in The Hague. Dr. Ruud Hisgen (Direct Dutch Institute) will give a lecture (in simple Dutch) about Dutch holidays. After that we will make exercises and discuss the answers. All this in simple Dutch, to get you talking! Don’t worry, mistakes are allowed! For a few years Direct Dutch Institute and The Hague Public Library have been cooperating to help people speak better Dutch. We call our events Dutch up! Because they do just that: they Dutch you up completely! Dutch up! is a great way to practise speaking Dutch while also learning more about typical Dutch subjects. You have to have at least a basic knowledge of Dutch to be able to fully participate in the workshops (level B1 + ). The entrance is free, registration is required: send an email to dutchup@directdutch.com. Email dutchup@directdutch.com to register for one or more places. Please be quick, there are limited number of places available!